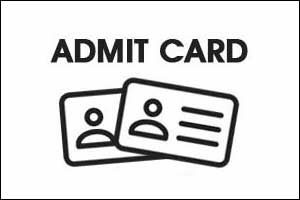 GPSC Class 1-2 Admit Card 2018 will release in the upcoming months for the GAS – Dy Collector, DDO, DySP, Asst Comm of State Tax, Asst. Comm Tribal Development, Dy Director Scheduled Castes, Dy Director, Developing Castes, Section Officer (Sachivalay), Tribal Development Officer, Section Officer (GPSC), Mamlatdar, State Tax Officer, Taluka Development Officer, Municipal Chief Officer, Social Welfare Officer (Dev. Cast), Govt Labour Officer, District Inspector Land Record, Asst. Director, Food and Civil Supply, Superintendent Prohibition & Excise positions. Officials of the Gujarat Public Service Commision will publish the GPSC Class 1-2 Hall Ticket 2018 on their official web portal @ gpsc-ojas.gujarat.gov.in. The contenders who have applied for the notification need to participate in the test on 21st October 2018 (Prelims) and 17th, 23rd, 24th February 2019 (Mains). We have also provided the steps to download the GPSC Class 1-2 Call Letter 2018 at the last of this article. Candidates can check the importance of hall ticket at the time of examination with the help of this page. Hence, all the competitors need to know all the information about the GPSC Class 1-2 Admit Card 2018. All the competitors need to visit the authorized site of the Gujarat Public Service Commision to download the admit card. The students need to provide the application number and the password to get the GPSC Class 1-2 Hall Ticket 2018. Therefore, the competitors need to check the login details to download the admit card for the GPSC Class 1-2 Exam 2018. In the below table, we have arranged the particulars of the call letter. All the contenders need to check the data about the hall ticket before participating in the written test. The postulants who have submitted the application form before the last date are only eligible to download the GPSC Class 1-2 Admit Card 2018. To take part in the examination, for all the contenders the admit card is the essential and mandatory document. Thus, all the students need to download the GPSC Class 1-2 Hall Ticket 2018 to write the written test. For the prelims and the mains exams, the officials will release the hall ticket. Competitors need to check the information about the prelims and mains examination carefully with the help of this post. The invigilator of the test room will not allow the candidate into the exam hall without carrying the GPSC Class 1-2 Admit Card 2018. Without fail, all the contenders need to check the link at the last of this page to download the GPSC Class 1-2 Call Letter 2018. We have provided the GPSC Class 1-2 Recruitment 2018 information on our web portal. The contenders can check the details and complete the application process as soon as possible. The application process will start from 16th July 2018 and available up to 31st July 2018. Therefore, all the interested competitors need to know the particulars of notification from our website. The admit card for the examination will contain the information related to the applicant and the written test. The candidates can know the date of the test and more details by checking the GPSC Class 1-2 Admit Card 2018. All the individuals need to check the hall ticket at the time of the downloading. The officials will receive the suggestions from the students related to the mistakes on the admit card. Therefore, the postulants need to verify the hall ticket and inform the officials if any mismatches are found. We all know that the call letter is an identity proof for the applicants to enter into the examination hall. Therefore, all the aspirants need to download the GPSC Class 1-2 Admit Card 2018 from this article. The officials will check the admit card of the student at the time of the examination. Along with the hall ticket, the candidates need to take one proof to the examination hall. In the below section, we have mentioned the documents that can carry to the test hall. The hopefuls can check and verify the details that are present on the documents. In addition to this, for the prelims and the mains examination, we have arranged the syllabus and the previous papers on our web portal. The candidates can check and know the pattern of the written test. We will update the link to download the GPSC Class 1-2 Hall Ticket on this page after the release of the admit card by the higher authorities of GPSC. Hope, the provided information about the GPSC Class 1-2 Admit Card 2018 is useful to all the contenders. Follow Sarkari Recruitment to know more updates.